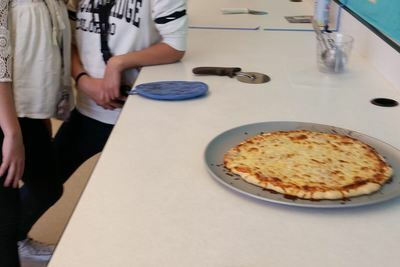 Welcome to Family & Consumer Science at Rocky Top! 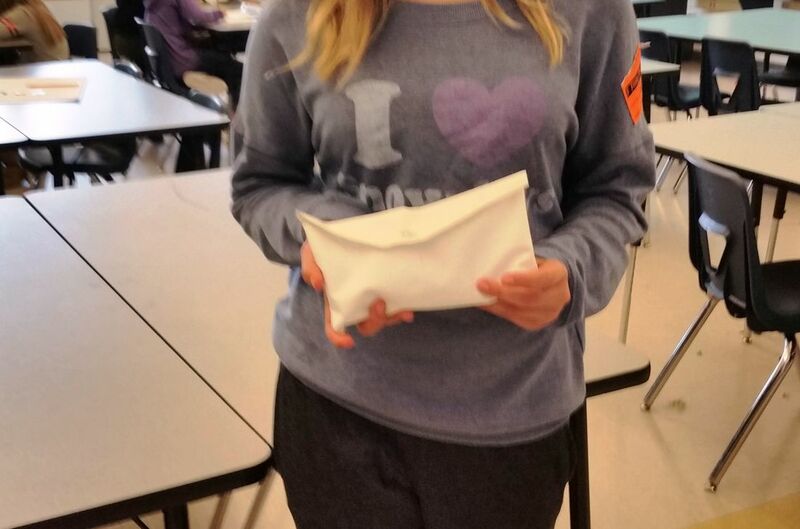 Do you have any extra thread? We use both spool and embroidery types. A 7th grader created this adorable purse. 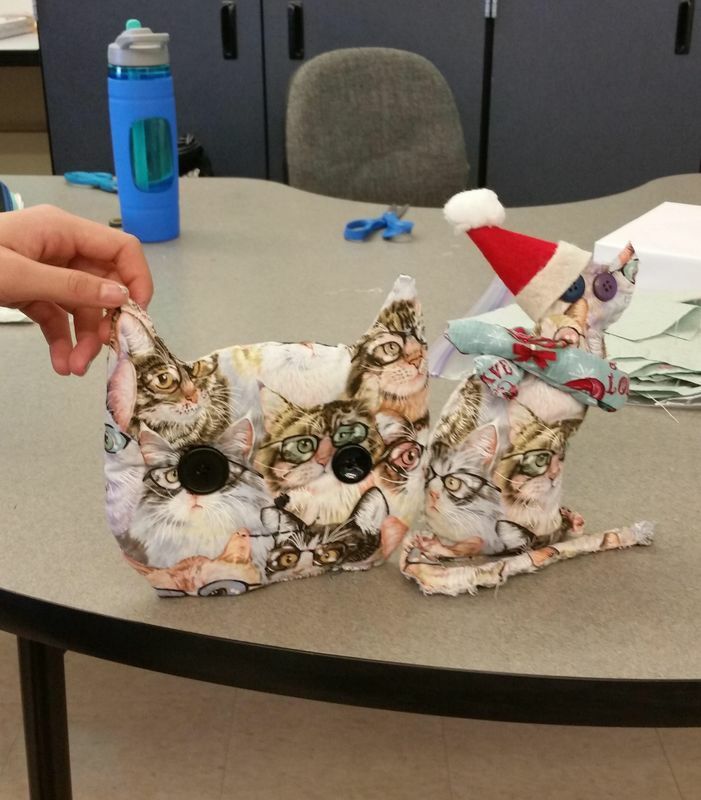 8th graders designed these cute cats. 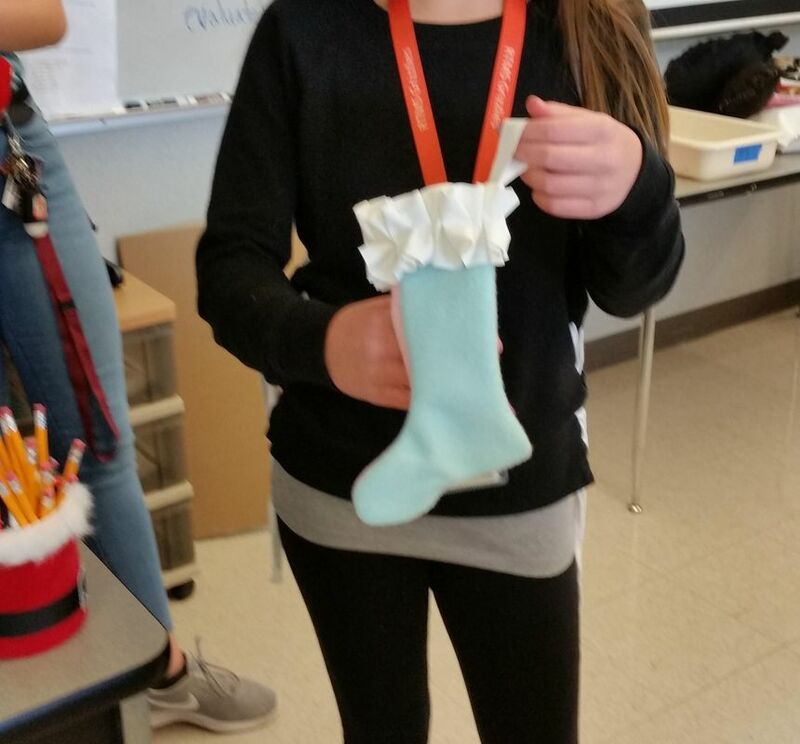 A 7th grader sewed this fancy stocking. 7th graders are ready to slice some homemade pizza. 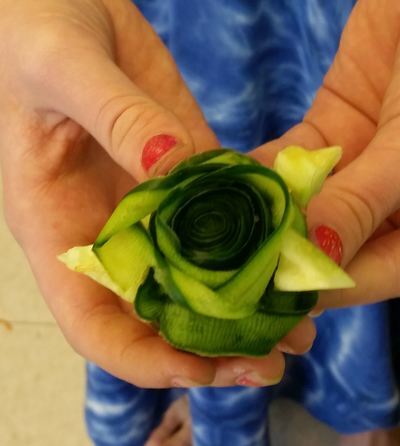 A 7th grader peeled this cool cucumber garnish. 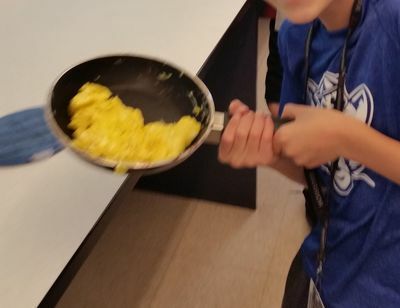 Our 6th graders serve fluffy scrambled eggs.